Health exchange board members on Monday pressed for immediate improvements to Colorados mandatory Medicaid application, but state officials, who contend that Colorado is a shining example among the states, refused to promise that a full slate of short-term fixes will be completed before Dec. 15. Thats the deadline for customers to buy health insurance if they want it to kick in on Jan. 1. And Colorado now could have as many as 1 million customers who need it. New data from the statewide Colorado Health Access Survey estimate Colorado has 741,000 uninsured people while the Colorados Division of Insurance recently reported that 250,000 Coloradans have received cancellation notices and presumably will want new coverage. I absolutely get the number of balls that you are juggling, but when I look at a delivery date of Dec. 15I get a little nervous, said Steve ErkenBrack, CEO of Rocky Mountain Health Plans and a board member for Colorados health exchange, Connect for Health Colorado. During an exchange board meeting, he was trying to get both the governors deputy chief of staff, Kevin Patterson, and the head of Colorados Medicaid programs, Sue Birch, to commit that theyll fix the clunky Medicaid application as soon as possible, preferably by Dec. 1. He and some other board members believe an onerous application process is driving away customers. What if you have 100,000 Coloradans who have four hours to buy coverage and this system crashes? What does it take to move that deadline up? he said. This is a huge issue. ErkenBrack even offered to see if health insurance carriers would kick in cash to cover any costs associated with a quick fix. We have to have that conversation with the feds, Patterson said of a meeting scheduled this week with federal health officials who are overseeing health reform nationally and in the states. Today were not ready to say that were going to move those dates. Birch said managers already simplified some questions on the Medicaid form late last week. If people are not applying for Medicaid disability benefits, they no longer will have to answer a long list of questions about all of their assets that many applicants have found both onerous and invasive. We are working with our federal partners. We understand the accelerated time frame, but we have collateral systems and we have to deal with all those systems, Birch said. In reply to ErkenBracks concern that if Colorado waits too long, a crush of people will all try to buy insurance on Dec. 15 and IT systems could crash, Birch stood firm, insisting all is well. Our systems have never crashed, she said. Sue Birch is head of Colorados Medicaid programs. She contends that Colorado is a shining example for the country, but some customers have been waiting since early October to be able to buy. Meanwhile some exchange board members blame an odious Medicaid application for slow sign-ups in October. Nonetheless, many applicants are not getting real-time results after spending an hour or hours and days filling out the detailed Medicaid form. Customers who want to qualify for federal tax subsidies cant get them until theyve proven they wont qualify for Medicaid, the government health insurance program for low-income people and the disabled. Connect for Health staffers say applicants get real time results as infrequently as 30 percent of the time while Birch claims that that percentage has climbed closer to 70 percent. Furthermore, she vowed to deliver much better results soon. Once additional proposed short-term fixes go into full effect by Dec. 15, Birch promised virtually 100 percent real-time determinations. Its hard to know exactly what that means, however, because at another point in the meeting, Birch said: there is no definition of real time, and she tried to imply that if applicants got answers within 48 hours or so, that would count as real time. Birch contended that Colorado is a star and is seen as one of the top four successful states in the country. We are one of the states that is seen as a shining example, Birch said. We are considered one of the successful states. In Colorado, 3408 customers bought plans through Connect for Health in October. Exchange officials did not release any new numbers Monday, so its unclear if sign-ups are increasing this month. In New York, 13,300 people have bought plans, the most in the country followed by Washington, which has sold 7,300. Next comes Maryland with 4,700 sales and Kentucky with 4,600. For some Colorado customers, it hardly feels like Colorado is doing well. Donna Smith hopes to buy health insurance through Colorados exchange, but has been waiting 36 days for a denial from Colorados Medicaid managers so she can move forward and shop on the exchange. Im facing cancer treatments and I cant deal with being uninsured. Day 36 is really making me nervous, Smith told board members Monday. Im facing cancer treatments and I cant deal with being uninsured. Day 36 is really making me nervous, said Smith, who has checked her application several times after she submitted it in early October only to find that that its been submitted. Its very painful. Its very stressful and it needs to be solved, Smith said. She thanked ErkenBrack for considering the human impact of the problems and pressing for quick solutions. Birch later spoke to Smith and told her that she had made an error when entering her Social Security number in the system. Medicaid managers have blamed customers for many of the delays, saying they have incorrectly entered their personal information. In Smiths case, however, she said shes quite certain that she entered her information correctly and that she printed her application to be sure. Board members are eager to know exactly how well Connect for Healths own systems are working and why customers may be dropping if they are. Board member Sharon OHara, who is executive director of the Colorado-Wyoming chapter of the National Multiple Sclerosis Society, proposed getting a detailed flow chart from Connect for health managers. There are a lot of different places that appear to be bottlenecking in our system or places where we are having hiccups. Maybe if we had a process flow chart, showing all the places where things could go awrywe really would know where some of the responsibility and accountability is so we are not floundering after the fact, OHara said. She wants to see data showing how many people start applying, how many fall off and exactly where in the process they appear to get frustrated. Exchange managers said they have received information about 27,000 people who have been denied Medicaid and should be prime customers for Connect for Health. (The individuals represent 15,000 Medicaid applications since more than one family member can apply on the same application.) Exchange managers say they are now reaching out directly to those people to encourage them to come back, shop and buy. Exchange and Medicaid managers also discussed long-term solutions to resolve the Medicaid application mess by next October. They gave a rough outline for a shared eligibility system. This is the same type of system that the two entities were supposed to build in time for this years Oct. 1 launch. Connect for Health CEO and Executive Director Patty Fontneau said the new application would be much more consumer-friendly. Connect for Health Executive Director and CEO Patty Fontneau says Colorados exchange is on track, but she and state Medicaid managers must find a way to build a share computer system that they couldnt build this year. It would allow someone to answer questions and based on the answer to that question, they would only answer questions that are pertinent to them, Fontneau said. Its unclear how Connect for Health and Colorado Medicaid managers with their separate IT vendors will be able to accomplish what they could not accomplish this year or who would manage the project. Exchange officials gave no cost estimates. So far, building Colorados exchange has cost about $200 million. Concerns about who would be in charge spurred questions from several board members who want to see much more detail at their next meeting. ErkenBrack said the proposal is not nearly detailed enough. There has to be somebody whos responsible. Saying, Its somewhere in the state, Im not fine with that. There needs to be somebody whos responsible and when problems arise, whose problem is it to fix it? 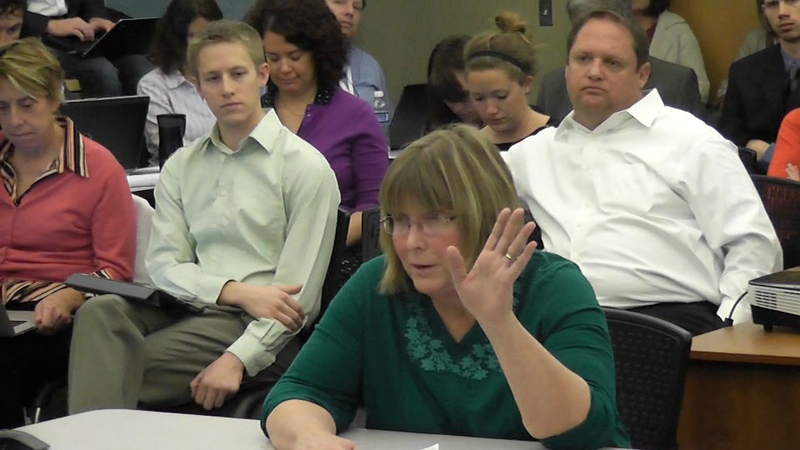 Board member Ellen Daehnick, who runs a small business, asked similar questions. Whos ultimately responsible? Whos accountable? Whos the owner (of this project)? It has to be joint ownership, Fontneau responded. In another update, exchange managers explained how they are adapting their marketing. They say many customers are confused and dont understand that Colorado has its own exchange and that residents here wont have to deal with the problematic federal website, www.HealthCare.gov. Birch suggested adopting irreverent ad campaigns like other states that are essentially saying, Were not the feds. Communications spokeswoman Myung Oak Kim said Colorado is taking a subtler approach. The new message is thousands have already enrolled. This is Colorados own marketplace. We want to say that this is already working, Kim said. People are really confused. People are really confused because theyre getting so many messages. Its hard to understand the difference between whats available to them here while there are hearing all this information on the national level.